Dragon's Head ( Rahu ) planet governs the Garnet gem. 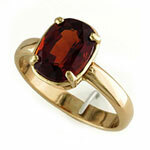 Hessonite garnet from Sri Lanka varies in color from a brilliant Orange to yellowish brown. Rhodolite garnet varies from pinkish to red lavender shades. 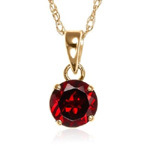 In earlier times, garnets were exchanged as gifts between friends to demonstrate their affection for each other and to insure that they meet again. 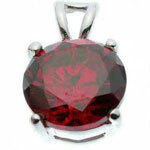 It is in the phase of Rahu, the Dragon's Head, that Garnet should be worn, two hours after setting of the sun. Commonly found in colours:red, brown, yellow, green or black, less frequently white or colourless. 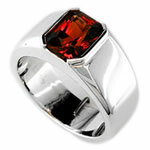 The wearer enjoys his health & gets respect in society. It protects him from fearful dreams while asleep. It is liable to save from accident and those who fall in accidents one after another they should wear this gem with coral to avoid them. Then also if you are liable to face any accident it will inform you beforehand in dream. Person whose every deed and desire always breakdowns they should wear this gem with Turquoise. It protects you from your enemies & makes you prosperous & wealthy. It shields you from evil ghosts & saves you from accidents. It changes your malicious thoughts & evoke your faith towards God. It is indicated in acute gastric, piles, fever with cough, foul breath, rheumatism, suicidal tendencies, rheumatic tumours, swelling of the uterus, constipation & skin diseases (white patches). You will be afraid even of your own shadow & can be disgraced without any reason. At the time of Mahadasha of rahu Gomed should be worn.